With Mother's Day literally days away, I'm talking this upcoming Sunday (6th of March) I'm here to share with you another guide idea, which steps away from materialistic gifts and focuses on something a little bit more special. I mean we all love receiving gifts (you can probably tell I definitely do from my recent Mother's Day Gift Guide post), but if I could choose a more personalised gift that truly brightened my day... it would definitely be breakfast in bed. 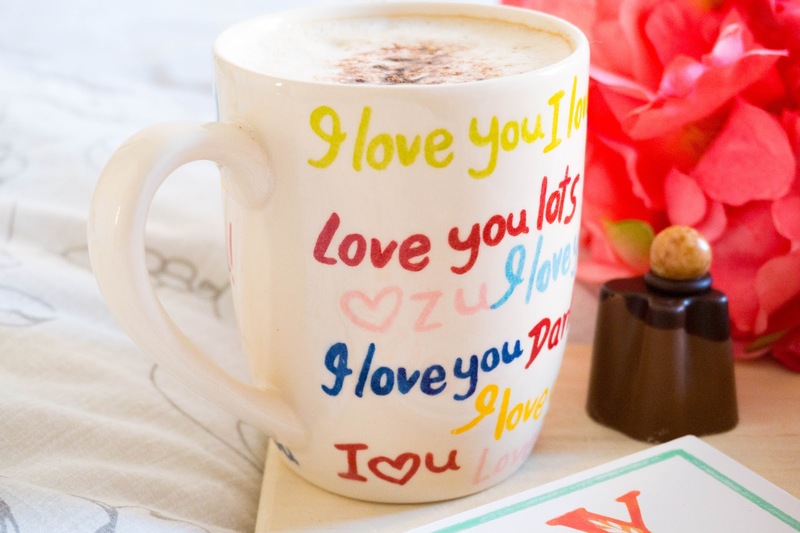 It's not just the actual food that matters, it could be beans on toast for all I care, but what matters is the thought of someone putting in the effort to create a special morning just for you. As a mother, lie ons happen on a very rare occasion (especially if you have small children meaning your usual wakeup call is between 6/7am) and the idea of being able to get an extra hours sleep along with enjoying your fist meal of the day snuggled up in your warm bedding, is just bliss. 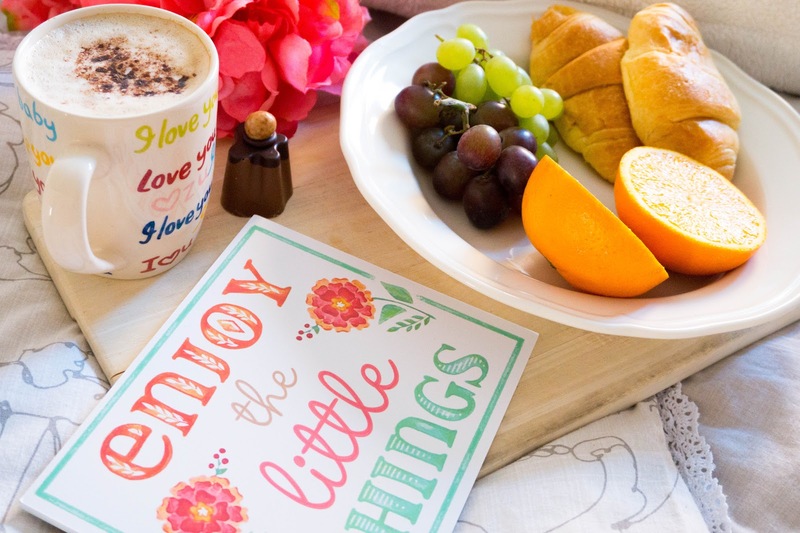 So when Oak Furniture UK got in touch about a Mother's Day collaboration, I wanted to create my idea of the perfect breakfast in bed and share it with you... now all I have to do is hope that my other half gets the hint. Breakfast in bed doesn't have to be a complicated process and it can also be done on a budget, you just have to work with what you've already got at home (this is exactly what I have done here). For example I don't own a breakfast tray, nor did I want to invest in one since this kind of thing rarely happens in my home. So best thing I could come up with is to serve breakfast on one of my wooden chopping board and it worked a treat. Regardless of whether you can cook up a storm or you've no idea of how to even turn on the oven... there has to be something you can prepare for the most special person in your life. Just try work it around their likes and dislikes. For example I love fresh fruit in the morning but I also love to be a bit naughty from time to time, so I prepared the perfect combination of energising fruits, french pastries & a cheeky homemade late with an indulgent chocolate treat. I was completely stuffed, not to mention satisfied with this choice of breakfast... meaning that I was more than ready for the day ahead. 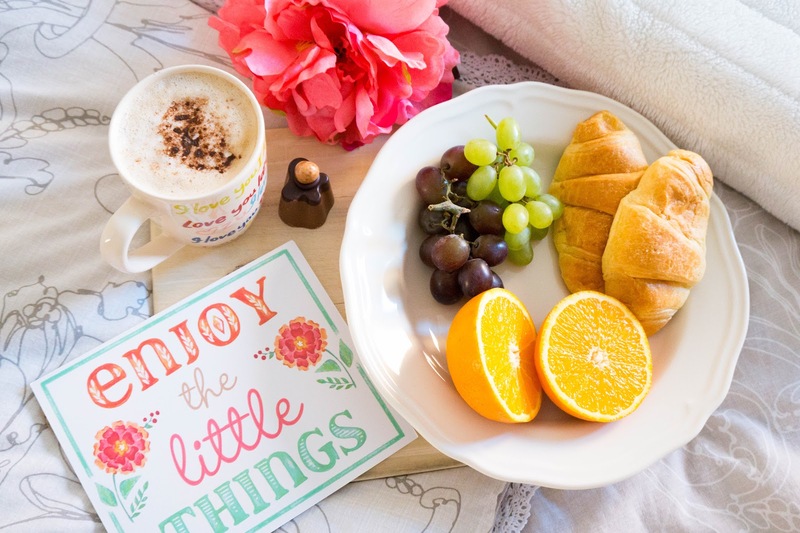 Lastly to accompany a delicious breakfast in bed, it might also be worth adding a hint of gratitude with flowers, a book/magazine or even a positive reminder (like I have with my bargain Primark sign). Your mom will be sure to appreciate the further gesture and let's face it, happy mom essentially equals to a happy family. 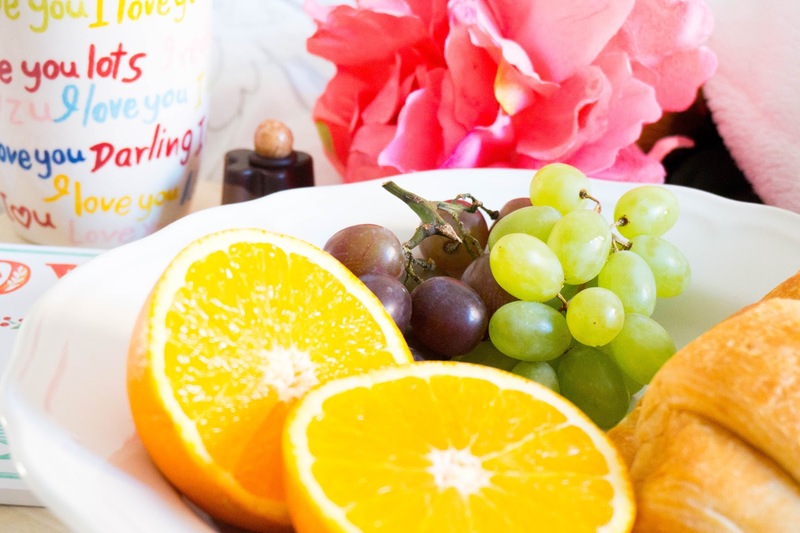 I'd love to hear your thoughts on my latest mother's day guide idea... Would breakfast in bed be something for you?